You believe it’s cold, but if you build yourself a snowhouse it’s warm. You think it’s white, but at times it looks pink, and another time it’s blue. It can be softer than anything, and then again harder than stone. Nothing is certain. 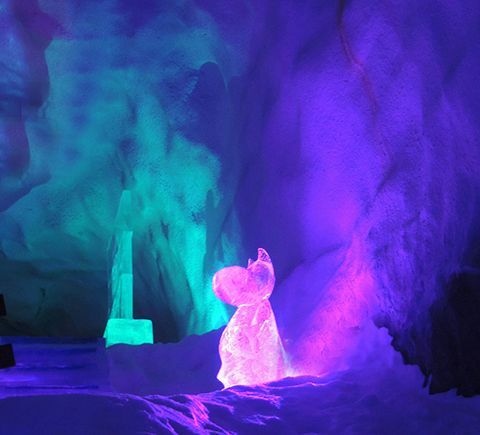 The ice sculpture exhibit is based on the novel Moominland Midwinter by Tove Jansson. While the rest of the Moomin family are in the deep slumber of their winter hibernation, Moomintroll finds himself awake and unable to get back to sleep. He discovers a world of snow, cold, and the wonders of winter. 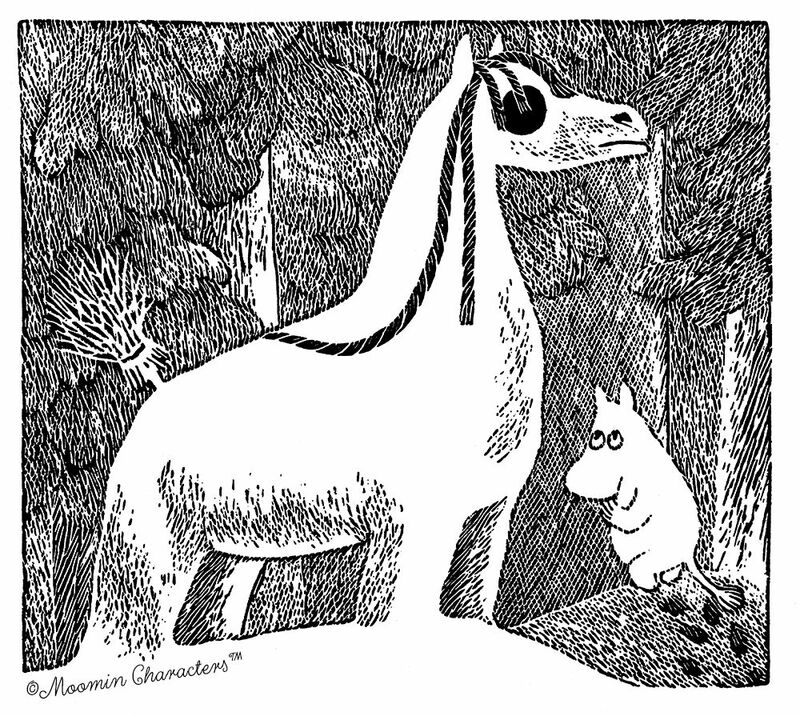 The story of Moominland Midwinter teaches Moomintroll and us a lot about friendship, family and also about fears. Strange new things await you! The story of the carving ice begins in a little pond far away in Finnish Lapland. From the pond a creek runs and turns into the great Lainio river that zigzags 35 kilometers through the National Park - from the hillsides of Pallas-Yllästunturi fells all the way to Lainio SnowVillage in Kittilä, where the clearest carving ice in the world is harvested. Lainio is a word in Sami language that means a rendezvous point where "subterraneans" (apparently gnomes, according to mythology) and the people aboveground can meet. Itself an arctic meeting point made of Lainio river's ice, the ice cave in Leppävirta for its part complements the story. Lainio river's unique ice is the optimal raw material for ice sculpting. It is formed in flowing water where the currents slow down the icing and keep the air bubbles in the undersurface of the ice very small. The ice becomes almost bubbleless, clear and very hard. The story of the ice began almost a year ago. The ice we use this winter was stored already last summer. The storing period improves the quality of the ice, because the condensation makes the ice even harder and gives it a bluish tint. Natural ice has its own "soul", its distinct shade and its own way of scattering light. Light passes artificial ice like glass, but a sculpture made of natural ice begins to shine when hit by light. This is due to the tiny air bubbles in natural ice, that make the the rays of light break inside the sculpture. However, if there are too many of air bubbles in the ice, or they're too big, the ice becomes weak. The ice has been harvested from the river at the turn of February-March, when the ice is at its thickest and best. When harvesting ice, the outdoor temperature has to be exactly right: if the weather is too cold, the ice raised from the 0 °c water may crack because of drastic temperature differences. On the other hand, if the weather is even a bit too warm, the ice becomes frail. Sunlight can spoil the harvested ice in just a couple of hours. The harvester is preceded by an all winter long preparation period, that aims to secure as big a portion of clear ice in entirety as possible. 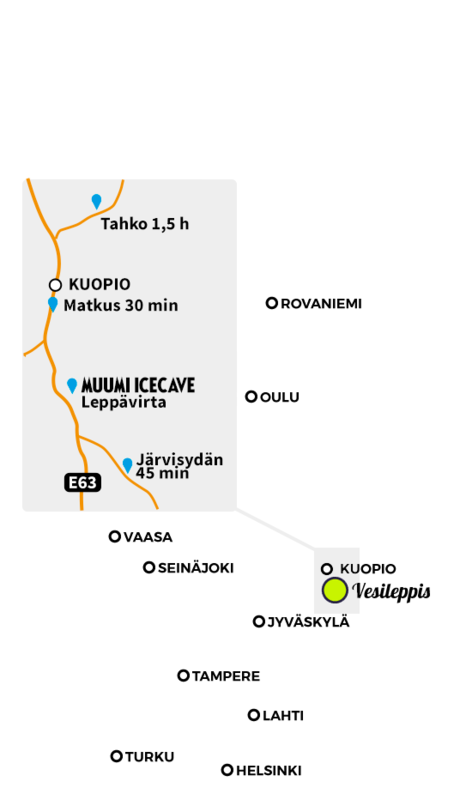 The ice used in the Moomin ice sculpture exhibition comes from Lainio River (2/3) and also from Puruvesi River (1/3) .